This is not a new things that gadgets freak always try to do something different with there gadgets, and earlier also we have seen that freak minds always do different things with Android platform. Here another tweaks have been performed on latest Android based smart phone Asus ZenFone 2. 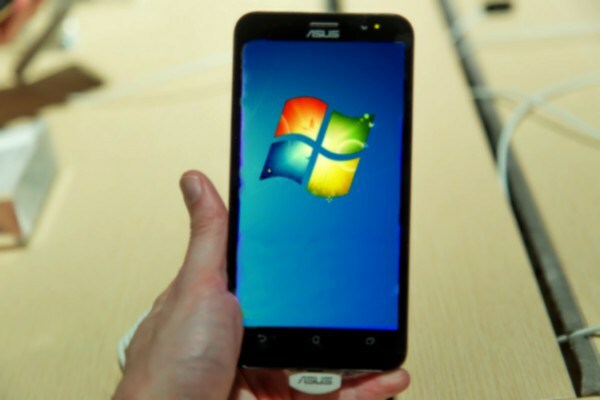 XDA Developer forum member ycavan managed to get Windows 7 running on an Asus ZenFone 2. Regarding this tweak it is been said that Asus ZenFone 2 utilizes an Intel-based Atom processor, hence make the hack easy with the support of its high RAM. Developer had also show a videodemo of running Window 7 on Asus ZenFone 2.
ycavan cited the reason for the hack was because he was curious about “running Windows at near native speeds.” It’s definitely not perfect—there is no Direct 3D support, for instance—but it works, even if the ZenFone 2’s 5.5-inch display seems a bit small for a full desktop operating system. Its always been interesting to perform different things and freaking hack tweaks with your gadgets. There are many things performed on Android platform which really very curious and interesting.